The included screenshots are from the default version of the game. Customers will be able to download real NBA players and NBA team logos from the contributors on the Wolverine Studios forums. But enough with the intro – lets get to the goods. 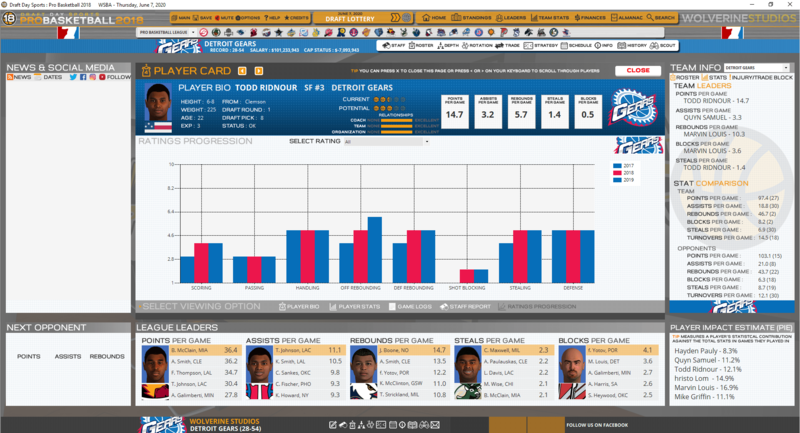 DDS:PB 2018 gets some added functionality for the user by adding options for depth chart, rotation and trading players right to the team menu so they can be accessed from many screens instead of just the roster one. 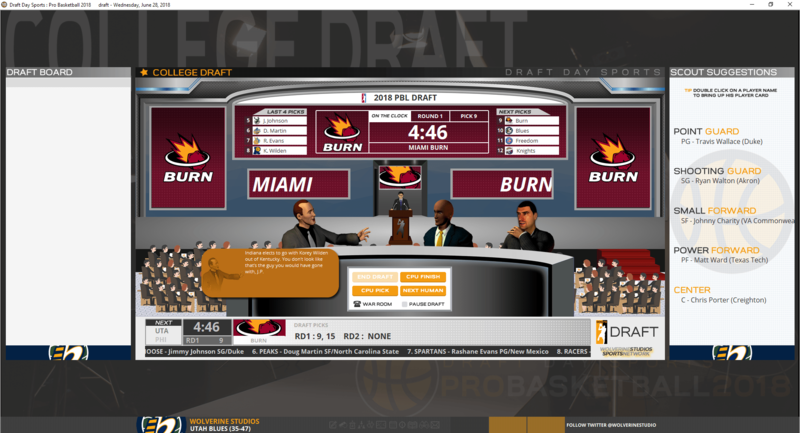 Buttons have been added to travel right to your d-league affiliate team and some screens have gotten a makeover to make them more visually appealing – none more so than the draft as the draft presentation and war room have been totally redone to give you an even more immersive and exciting experience. 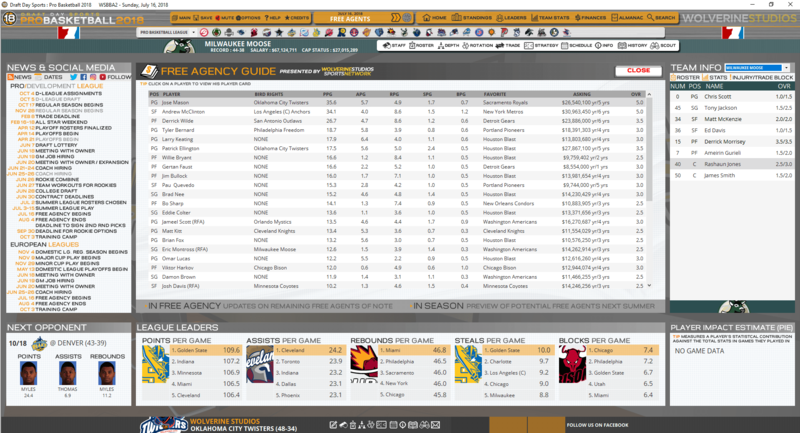 Player rating changes are now tracked in a database so that you can see how they have progressed over time, coach and GM hiring history has been added to the team history tracking and the array of defensive stats from prior versions of the game has made its way back – we had no idea so many people found them so interesting and useful! New scheduling has been added as well to match real life and spread out the playoff games a little bit. 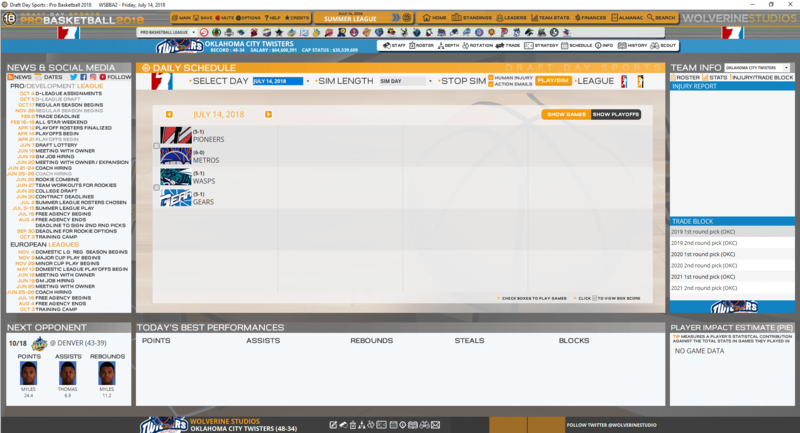 In the past the summer league games were largely meaningless – just some exhibitions run to simulate your new rookies for a couple games as well as anyone you might be scouting out for the future but that’s all changed now. Now the teams will compete in 5 or 6 matchups with the 8 best teams record wise competing in a single elimination tournament to crown a champion of the summer league. We’ve added our own version of two-way contracts into DDS:PB 2018. Each team will have the opportunity to sign two players to their roster on these contracts and it will allow them to stash those players exclusively in the d-league so that much like in real life you can expand the number of players your team controls. These players will be able to be called up to the normal 15 man roster and converted to league minimum contracts as well if you wish to do so. 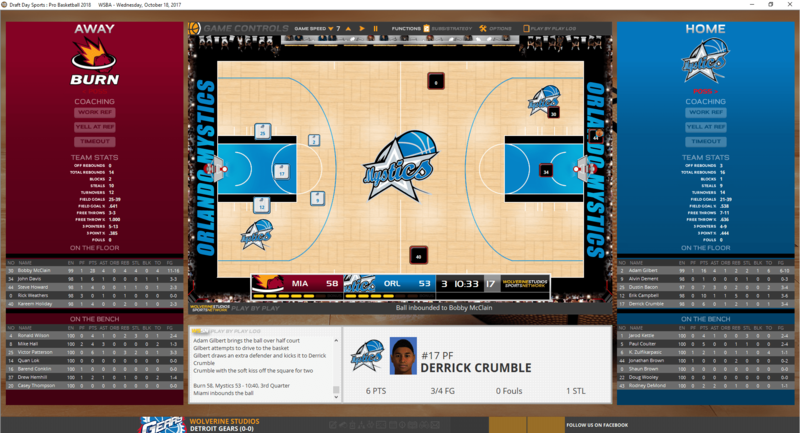 Speaking of the d-league, we have added an option to give you control over your affiliate and treat them like a true extension of your team. You can leave it up to the fine folks running the team if you want or grab control of everything from the d-league draft to in-season pickups or setting the depth chart and player rotations to make sure the players you have sent there from the pro club or are stashed there on two-way contracts are getting all the minutes you want. With all of the information available today teams formulate a gameplan early in the summer for their free agent strategy. 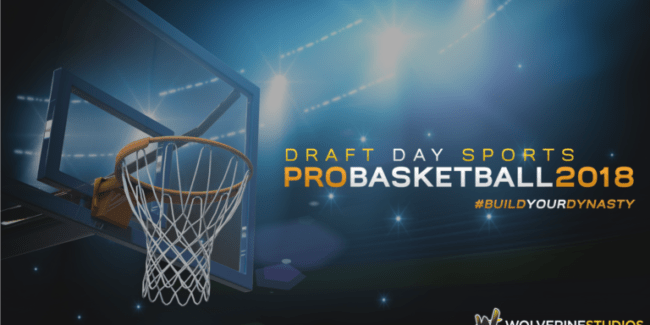 Now prior to the draft you will get an email detailing the top free agents available as well as some detailed information about what they are looking for. This way if a player might be interested in you if you had the money or had another star player you have the time and opportunity to try and make some moves prior to free agency to go for it. You might even learn that the free agent you want is close with one of the players on your team and then you’ll definitely know not to trade that player away if you want a shot at bringing his buddy to town! The old system of players having an injury % has been removed for a more modern day take on injuries. Players are either healthy, probable or listed as out for a number of days. The AI will act more more conservatively as in real life resting players who have injuries for meaningless regular season games but being more willing to use them if possible in the playoffs. Player ability while injured is also changed now so you will have to weigh the risk and reward of playing a “probable” player – is it worth risking a bad performance or prolonging a sickness if a player is not feeling well with the flu? Is a sore back worth missing a game or two versus having it linger with sub-optimal performances for two weeks? You’ll have to make the call. The fantasy draft was one of the most requested areas for upgrade and we’ve done it. Now you can see the initial contracts of all the players in the grid before you draft them as well as see your team’s salary cap total so you know better how much cap space you have used up already. Speaking of fantasy…a brand new option outside of career play is Tournament Maker mode. The sequel to Matchup Maker (which still exists in the game) will let you grab teams from a database and pit them against each other in a 16 team single elimination tournament. Tired of wondering who was the best of all-time or the best team one franchise ever had? Now you can settle it on the court. We’ve also hidden some surprises for you to find on your own – little things that will improve the game play and immersion factors and hopefully will get a “wow, that’s pretty cool” out of you when you discover them. One final thing we didn’t mention is that we’re working for the first time to be able to make DDS:PB 2017 leagues importable and all leagues being able to be carried forward from version to version from now on. From GM Games, we look forward to many of these enhancements coming to DDS College Basketball 2018!